If you're seriously into audio visual entertainment then chances are you'll have gone through the exciting (yet mildly scary) process of blowing an entire month's pay cheque on the latest television, Hi-Fi or associated piece of audio visual hardware. Like everything in life, how much you want to spend on this kind of thing is often limited only by the size of your available budget, or how comfortable you are living off cold beans for the rest of the month. Dedicated tech-heads will think nothing of blowing a few thousand on a single Hi-Fi separate if they think it will enrich their listening experience, and that's fine – society in general doesn't bat an eyelid and the world keeps turning. Strangely, this tolerance for massive expenditure doesn't seem to extend to the world of video game hardware. One of the most common things we hear at Nintendo Life when we wax lyrical about the work of Analogue is "I'd love to own one of their systems, but their stuff is too expensive". It's hard to argue with that stance on one level; the company's unique line of systems is unashamedly aimed at people with big wallets, like the (sadly discontinued) wooden Neo Geo CMVS or the Analogue Nt Mini, a majestic product fashioned from a single piece of aerospace-grade aluminium. With price tags that exceed even those of the modern gaming platforms, it's little wonder that so many players have been reluctant to part with their cash – despite the fact that these machines provide the very best way to play Neo Geo and NES software. 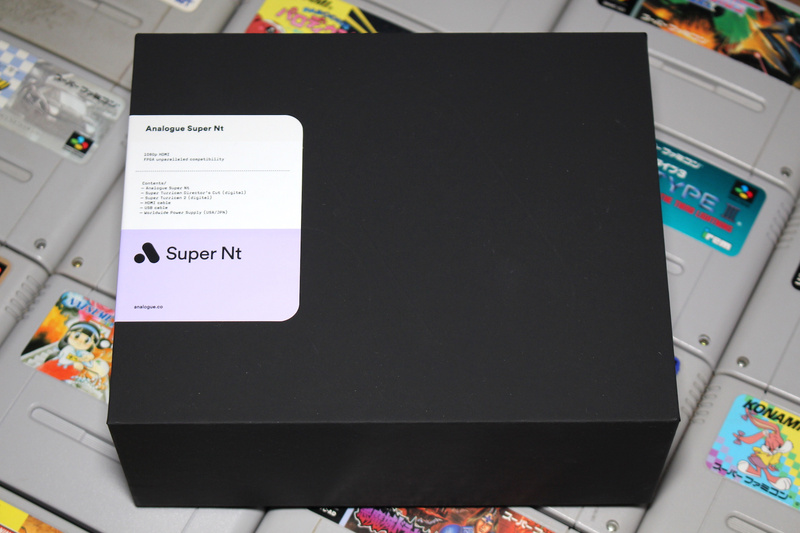 With the company's latest venture however, such reservations should vanish (almost) entirely; the Super Nt marks Analogue's first genuine foray into the world of affordable gaming gear. With this highly-anticipated console, the company is bringing down the cost of ownership so its stunningly-engineered tech is within reach of more players than ever before. 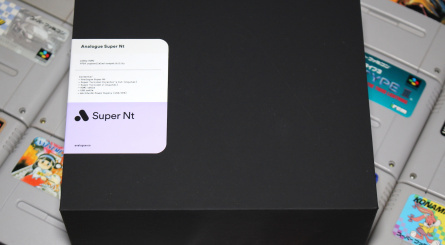 The Analogue Nt and Nt Mini were handsome machines thanks to their graceful design and robust metal frames, but the company has taken a different approach with the Super Nt. Expensive aluminium is replaced by a cheaper yet admittedly high quality plastic casing which not only brings the construction cost down considerably, but also – in our humble opinion, at least – results in a more attractive system. 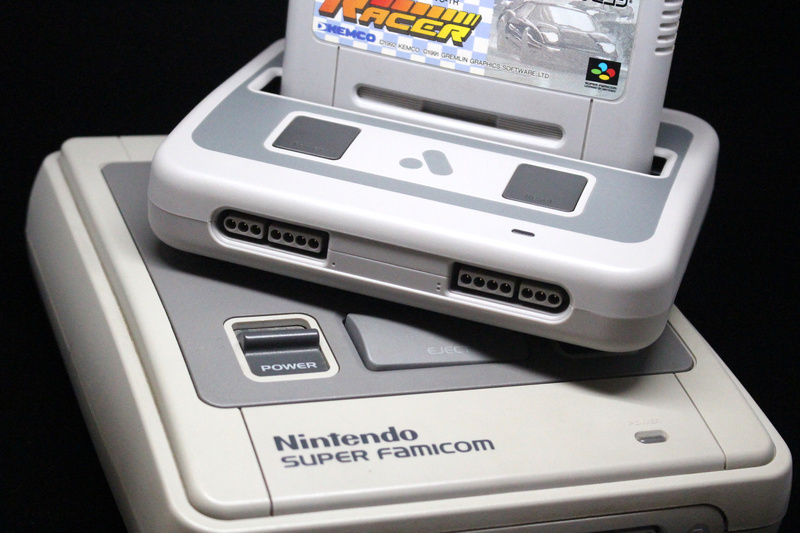 The Super Nt is clearly inspired by the rounded edges of the Super Famicom and European SNES systems (sorry North American fans, there's no 'tissue box' design on offer here) and to the untrained eye could even pass as an official 'downsized' edition of the real thing which outdoes the SNES Jr. in terms of svelteness and pure desirability. The top of the unit is home to the universal cartridge slot (which accepts games from any region) as well as the power and reset buttons. There's also a multi-colour power LED which can be customised using the console's settings. Around the back things are surprisingly clean, especially when compared to the Analogue Nt and Nt Mini. Again, this is part of Analogue's drive to make the hardware more affordable; there's no RGB / Component / Composite multi-port this time, which could come as a disappointment to some but we imagine most buyers won't care one jot. Instead, we have single HDMI-out and a Micro USB socket for power, which means you can use your smartphone charging block, if you so wish (the Nt Mini had a bespoke PSU). Despite losing the allure of a metal case, the Super Nt feels incredibly robust and sturdy; this is a premium product, even if it is made of plastic. It's engineered to perfection with no unseemly gaps or joins in the case design. 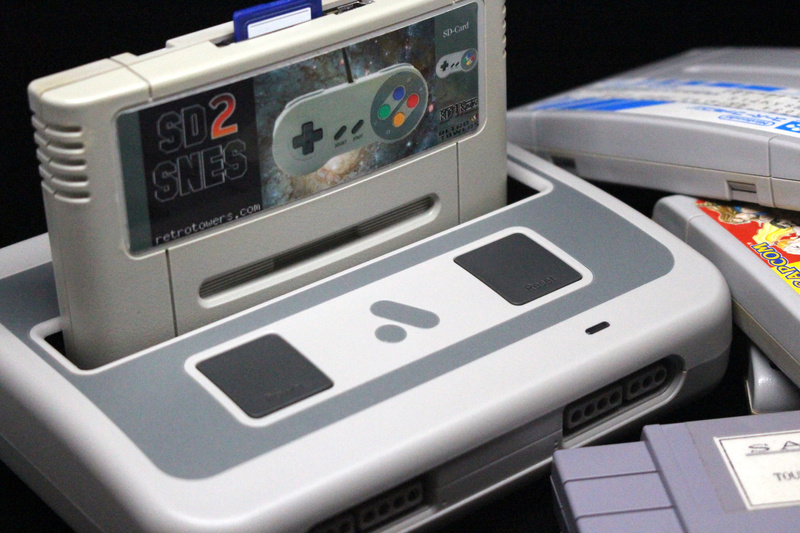 It's rare for gamers to really express any real emotion towards console design these days – not like in the past, at least – but the Super Nt is downright gorgeous. 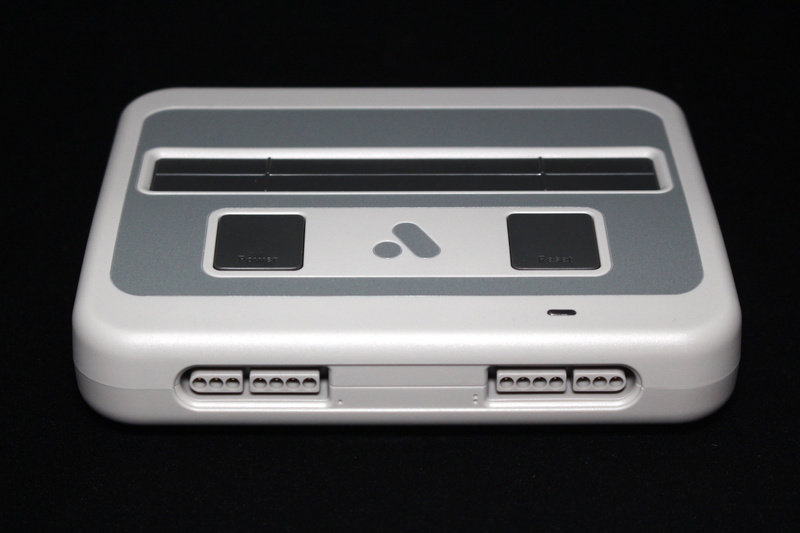 As you can see, we opted for the Super Famicom / EU SNES design, but it also comes in grey-and-purple (mimicking the North American colourway), black and transparent. Unpacking the console reveals the first big shock – there's no controller in the box. This has to be ordered separately for $40, which pushes the cost of ownership – already a considerable $190 – up a little more. It's a rather cheeky move without a doubt, but it does make sense on one level. If you're a keen follower of Analogue then you may already own an 8Bitdo controller; the two companies have been bedfellows for some time and 8Bitdo pads have been pushed as viable alternatives to Switch Pro Controllers in recent months. 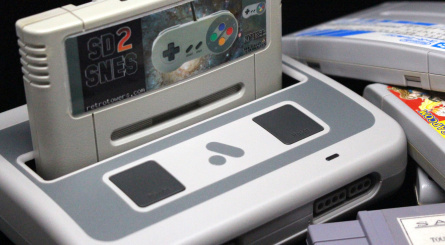 If you already own a SNES30 and a SNES Retro Receiver then you'll be able to use those with the Super Nt, potentially saving yourself some cash. 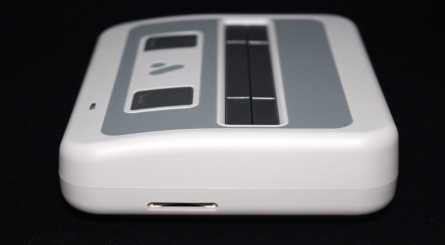 If not, then you can order a SNES30 pad which matches the colour scheme of your chosen case design. 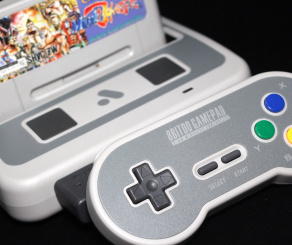 Alternatively of course, you can just use your original SNES pad, as the controller port is exactly the same as the one on the authentic console; this could be another reason for not including one in the box as standard, as the kind of person who buys this system will more than likely have a SNES controller in the house somewhere. 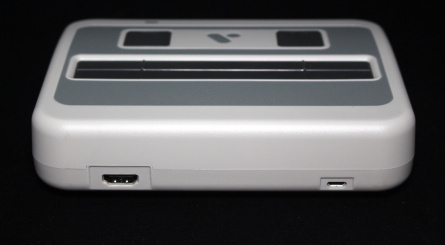 The only other design element of note is the SD card slot on the side of the console. This is used to install firmware updates, a process which is utterly painless and ensures that Analogue can keep adding to the functionality of the system post-launch. Those of you who followed the development of the Nt Mini will know that it received "official" jailbroken firmware – created by Kevin Horton, the same person who designed the internal architecture – which introduced a slew of new features, including the ability to emulate a whole host of different systems and run games from an SD card. While we can't be sure, we'd imagine the same abilities will eventually be extended to the Super Nt in the future via firmware installed using the SD card slot. 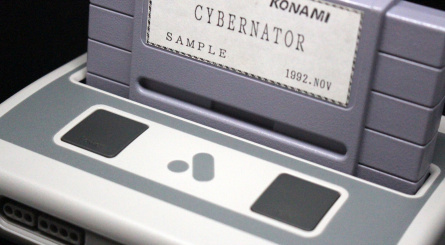 The big selling point of Analogue's new range of consoles is that they harness the power of Field-Programmable Gate Array chips to replicate the performance of vintage consoles on a hardware level; in Super Nt's case, it's packing an Altera Cyclone V, one of the most sophisticated FPGA chips available. There's still some debate about whether or not FPGA tech is truly superior to the very best software emulators available, but in our experience, systems equipped with these chips have always proven to be more reliable, accurate and responsive than their rivals. 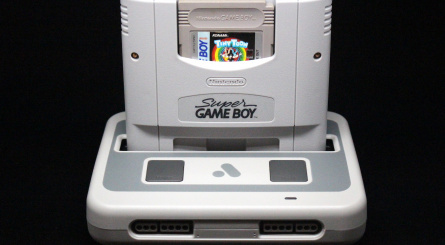 Products like the Hyperkin Supa Retron HD and Retro-Bit Super Retro Trio Plus use a 'system-on-a-chip' approach which is more akin to emulation than recreating these systems via pure hardware; as a result, there are usually slight differences, such as slowdown, visual mistakes or off-key audio – and, most annoying of all, a small amount of latency. Because FPGA is all done entirely on a hardware level, you get unparalleled accuracy, total compatibility and zero-lag input. To say that the Super Nt provides an experience that's just like the real thing is perhaps doing it a disservice; what we're getting here is better than the real thing. In terms of accuracy it's faultless; games run as they should, sound as they should and play as they should. However, because you're viewing the results in 1080p over HDMI, it's like seeing these classics with a totally fresh pair of eyes. Everything looks razor-sharp and moves beautifully. Compared to the HDMI output seen on other retro clones, there really is no comparison; this is visual perfection. Every single game we ran on the console loaded perfectly and performed without any issues; we even tried prototype carts and various Super FX-powered titles, and they all worked fine. 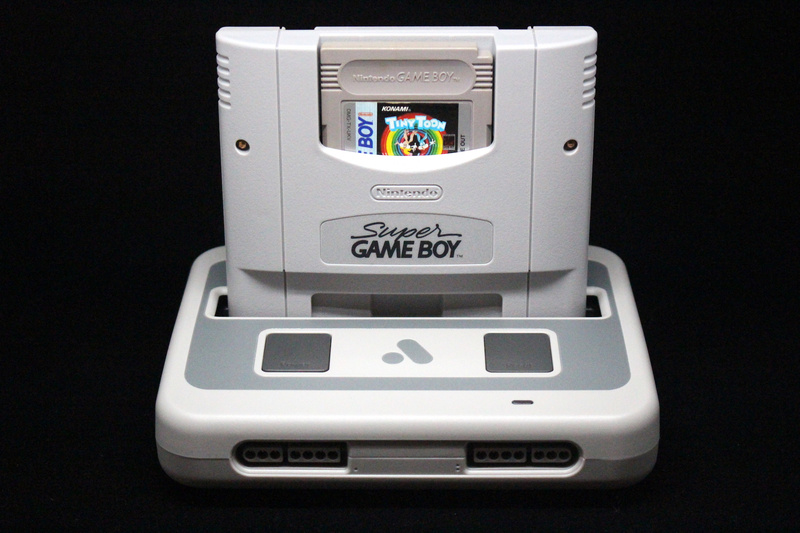 It's also worth noting that it works with the Super Game Boy and the Super Everdrive flash cartridge. This shouldn't come as a massive shock as the Super Nt is, to all intents and purposes, a real SNES on a hardware level. However, Analogue isn't content to simply offer you the best experience it can – the console's UI, which was created by none other than Phil Fish, maker of the seminal indie platformer Fez – hides a plethora of options and settings which let you refine the experience even further. You can change the aspect ratio of the screen, apply a scaler effect or even introduce CRT-style scanlines for that true old-school look (along with an optional gamma boost mode which brightens the image once these scanlines are applied). Switch on the "Advanced Mode" and another layer of settings is revealed. You can get as deep as you like with this hardware, and even go as far as to switch on a 64 sprite mode, which doubles the number of sprites that can be on-screen and effectively removes the "sprite flicker" which plagued some SNES titles. There's also a "pseudo high-res blending" feature which makes visuals that look odd in HD appear as they would have done on an old-fashioned CRT – their original target display, lest we forget. It's hard to describe how this works but there are some elements in games which used the idiosyncrasies of CRT screens to achieve certain effects; running on modern LCD TVs these effects sometimes appear as lines. This blending method solves the problem, but it can be toggled off if you so wish. The user interface is worth discussing a little more, because it's genuinely brilliant. It can be accessed at any time by pressing down and Select (you can change this shortcut if you want) and comes packed with features. The console's boot animation – also created by Fish – randomly spews a handful of 30 different Analogue logos, set to a short audio cue by the legendary British electronic artist Squarepusher. It's like booting up a console from an alternative universe, where Analogue – not Nintendo – won the 16-bit console war. 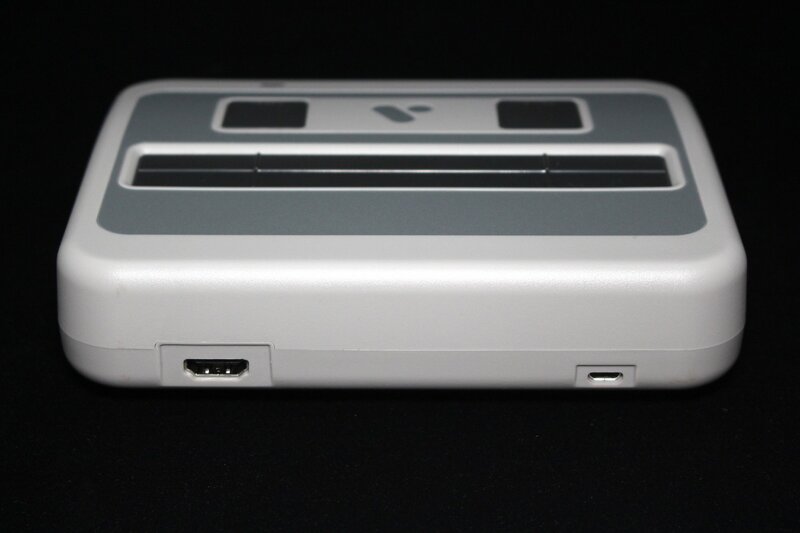 As for the rest of the UI, it has all been built within in the limitations of the SNES hardware; unlike the Hyperkin Retron 5 and Cyber Gadget Retro Freak – which use Android as their foundation – what you're seeing on the Super Nt could actually have been done on the original SNES back in the '90s. There are other neat little touches, too, like choosing to have the menu text 'bounce' in from the top and bottom of the screen and the ability to choose between a North American SNES or Super Famicom / EU SNES theme for the menus. However, there are some omissions worth mentioning; there's no support for save states (something that is present in PC-based emulators as well as on the Retron 5 and Retro Freak) so if you're playing a cartridge with a dead battery or you simply want to retain your progress in a game which lacks battery back-up, you won't be able to do so with the Super Nt. This might not be a massive issue for everyone, but if you've made use of save support on other clone consoles (or on the Virtual Console, for that matter), it could be a disappointment. There is a chance, of course, that this feature will be introduced via a later firmware update. 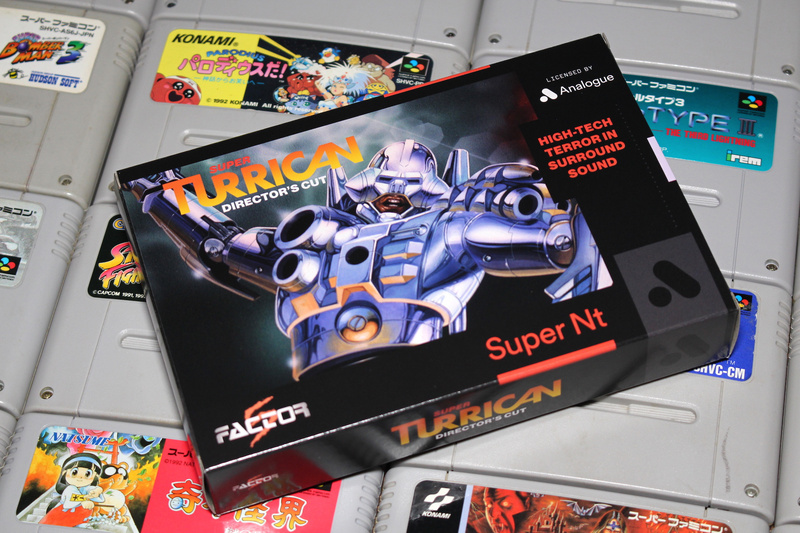 The system comes pre-loaded with Super Turrican: The Director's Cut and Super Turrican 2, the former of which has never been released in any form previously. 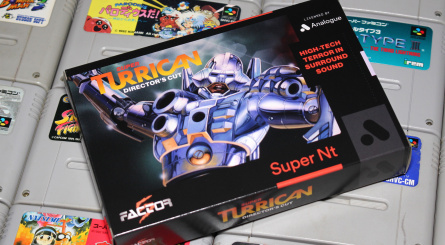 You even get a flat-packed Super Turrican box with the console, should you want the "complete" experience of having it on your shelf with the rest of your collection – even if there's no physical cartridge inside. The Super Nt is an astonishing piece of gaming equipment. Analogue hasn't simply replicated the SNES on a hardware level with amazing accuracy; it has also created a slick user interface bound by the limitations of the console, and has wrapped it all up with some excellent branding which – we hope – will be used on many other systems to come. 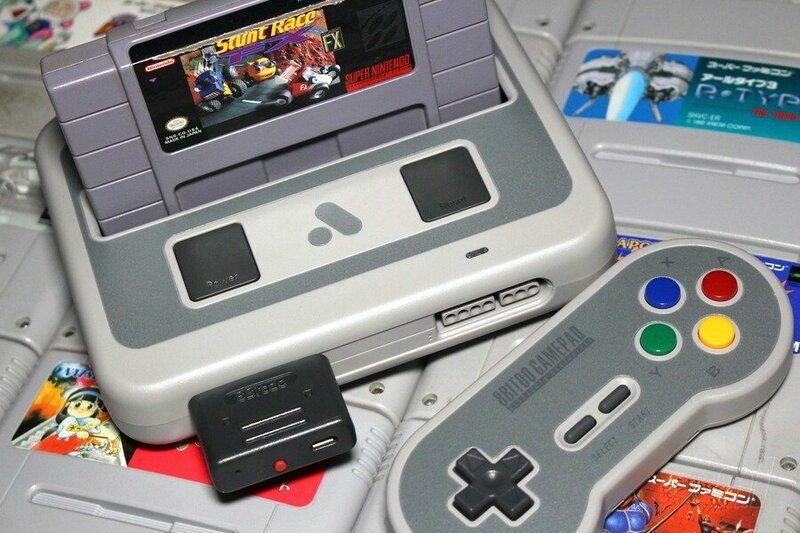 The asking price of $190 may well be an issue for some – especially when you consider that you don't even get a controller – but if you absolutely have to play SNES games in the best way possible, you won't mind paying for quality. Analogue already has a sizeable group of fans and convincing them that this excellent system is a must-buy was never going to be a challenge, but more casual buyers might be less easy to get on board, especially as a hacked SNES Classic Edition offers a very similar experience without the headache of having to track down original cartridges, many of which are slowly creeping up in value. Even lower down the scale, those who simply want to see what all this SNES fuss is about might find it easier to stomach the asking price of the Supa Retron HD, or even track down an original SNES system and achieve total accuracy (along with sub-HD visuals). Ultimately, there are multiple entry points if you want to get into the world of SNES gaming in 2018, but as far as we're concerned there's only one champion – and that's the Super Nt. 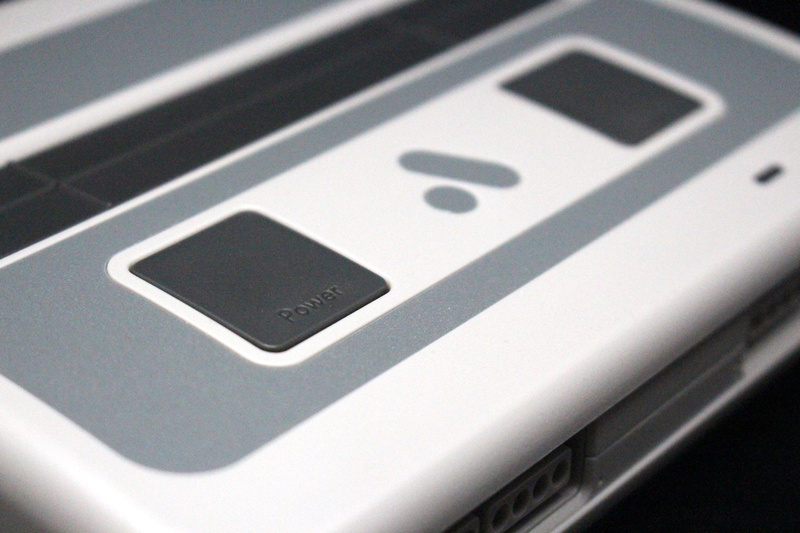 It's hard to see how anyone – even Nintendo itself – can possibly better this product. The Analogue Super Nt costs $189.99 and is available direct from the manufacturer. @Shiryu Really hyped for this! When you eventually snag one which version will it be? @Fearful-Octopus I really like the all black one. I'd really get this for the Turrican games, but I still have a good amount of SNES carts. Hope I can order one when my tax refund comes in. Wonderful review! 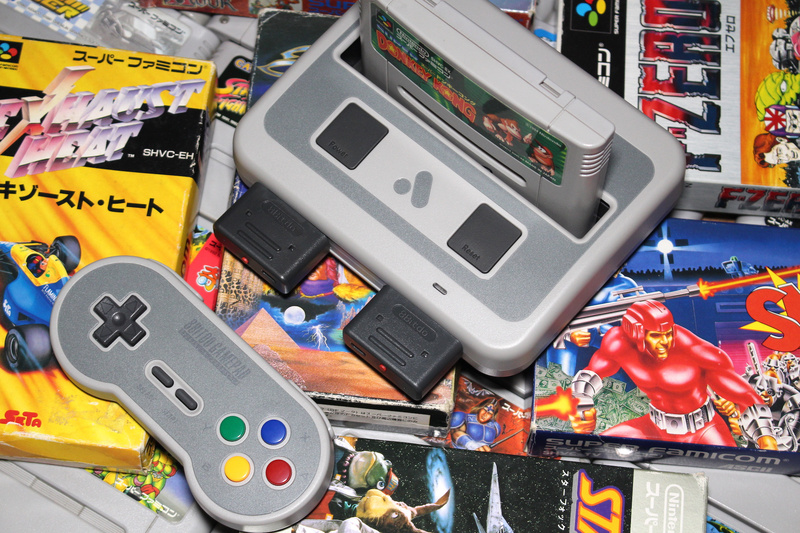 Yes, it’s pricey but if you love 16 bit gaming, why not get the absolute best of the best? I don’t regret buying an Analogue NT one bit and that was way more expensive, with less features. I’m really stoked for this console. I bought a copy of Terranigma and will dive into that headfirst, based on NL’s recommendation, as soon as mine arrives. Happy 16 bit gaming everyone! Edit: I got the all clear one with clear matching joysticks. I got the joysticks last week and they work perfectly on an regular launch month SNES...the one I still have from high school. And now I’m picking up a new SNES at 41...who would’ve thought?! @Shiryu The black one is very nice, i chose the purple ntsc version. I also always liked the super famicom style. I may buy this after I've got my ZX Spectrum Next, but scalpers on eBay may kill that idea if games keep going for stupid prices. It's all subjective of course, but I would still argue the absolute best way to play SNES games is on NTSC original hardware, RGB, via a CRT. Especially a CRT such as a Sony PVM/BVM. You just lose the original essence of the console when you bring in modern technology like wireless controllers, HDMI, LCD TVs etc. It's certainly more convenient and accessible this way (minus that price tag), but the best? In my opinion, no. According to UPS mine arrives tomorrow. Soooooo excited! No thanks. I'd prefer to play them either on the original hardware or on the 3DS/Switch. @GravyThief Yeah, "best" is always subjective. But I do personally think it's probably the best way to play the games, but not necessarily to experience them. Plus a EU retro-gamer will tell you that despite NTSC hardware being superior, the PAL experience (AKA Slowed-down Sonic for instance) will always be what they've known and therefore there's a sentimental attachment to those versions. You can get a CRT TV (which the system was designed to be played on) for basically free. Craigslist has many people willing to give theirs away to save on the disposal expense. 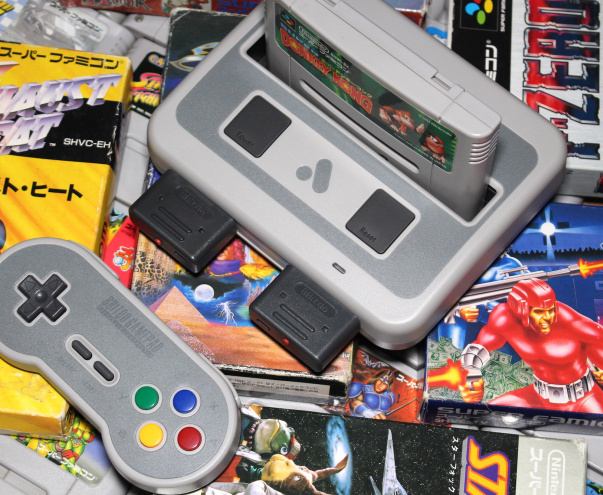 A really-for-real SNES will set you back less than $50. BOOM. You're playing with the most accurate system fidelity available for less than a third of the cost of this. @GravyThief: Absolutely. The SNES offers native RGB output as well. 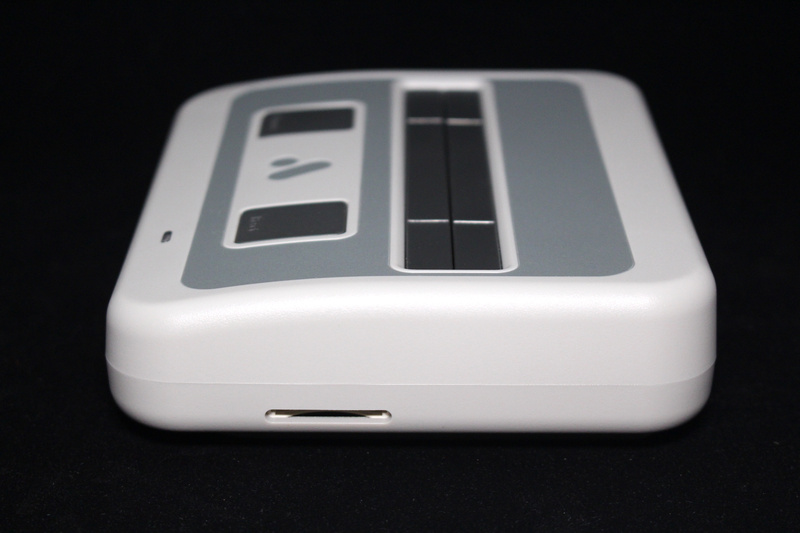 There is more of a case for a NES clone since you have to mod, SNES not so much. The problem with this clone is it falls in the middle between casual and high end. Casual can fall on the Classic Minis, mod them and put roms on and be done for $80. The other end of the spectrum will spend considerably more than $200 on a XRGB or OSSC, systems and cables. Also the Analog option (at least for now) covers 1 system. The other ones cover considerably more. While the system is top notch, this point needed to be elaborated in the review because it is something for buyers to consider and where the review falters. They need to see where they fall. Also, SNES prices slowly creeping? That would imply they're not already astronomical? Are you sure about that? I'd love one but I have an 'as new' Super Famicom on my shelf and a SNES Mini that I've barely touched. There's just not enough time in the day to play everything. By the way, that FPGA vs emulation article is very interesting, so thanks for including it. @mordecai It depends. In Europe you can get away with getting an OG SNES at a used games store for 50 €. I know in the US retro gaming is infinitely more expensive than in, say, Japan or Europe for that matter. Honestly, for what it is I think the price is really reasonable. It's a premium product. I sold off all my physical SNES games years ago (I still kick myself!) but still kinda want this, and to start a new collection. I have my original SNES and a Framemeister and will replace that set up with a Super Nt. The Framemeister upscales to 720p and is very nice but the SNES power brick makes me nervous. I cannot wait to get new hardware that outperforms the original and is safer to keep plugged in. A very cool system, especially considering it's pretty much the best way to play these classic games running basically perfectly, but I sooo would have went for the transparent model with matching transparent controller. If it cost £100, had say 20+1 of the best games pre-installed as digital versions like on the SNES Mini (the +1 being the director's cut of Super Turrican), and still played all the physical game cartridges too, it would be an utterly amazing option, even given you'd still have to separately buy one or two controllers on top of that--and, yes, I know I'm just fantasizing here. 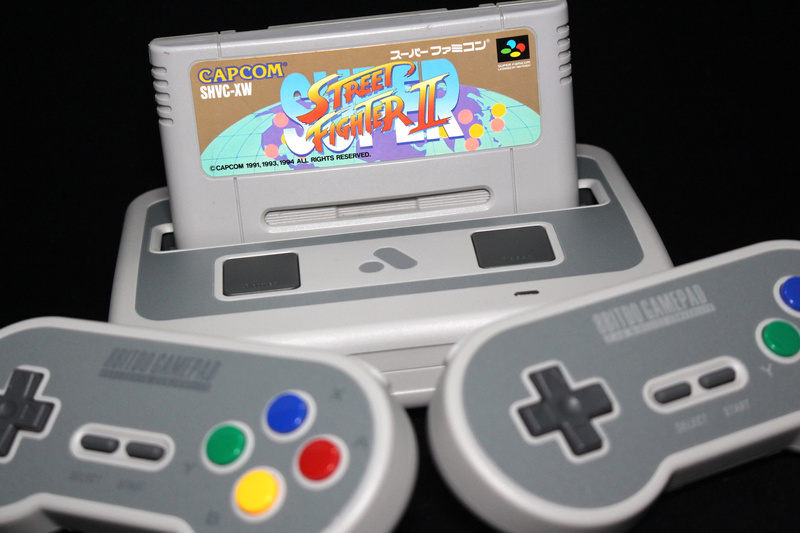 @Shiryu Yeah i agree, i have 2 cirka snes game pads. Not happy about the price of shipping either, hopefully i get mine tomorrow morning. Hoping the weather in my area doesn't affect shipping times. @Fearful-Octopus Good fortunes to you, sir. "and even go as far as to switch on a 64 sprite mode, which doubles the number of sprites that can be on-screen and effectively removes the "sprite flicker" which plagued some SNES titles." If it also eliminates the slowdown, which was presumably caused most of the time but too many sprites being displayed on-screen, then this would just be an amazing feature to have--I wish the SNES Mini had an option like this. @nilcam the FM also adds an unfortunate 16ms of input lag...Parry that with the present lag on your HDTV and in you're in for a laggy experience.
" 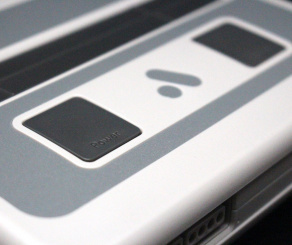 It's hard to see how anyone – even Nintendo itself – can possibly better this product." 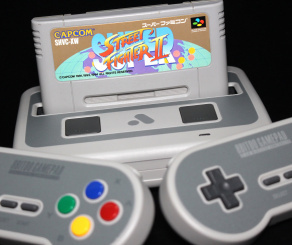 If someone released a similarly built system for £100 with say 20+ of the best SNES games pre-installed in digital form, and still with the ability to play all the original cartridges, plus one or even two controllers in the box, and the option to save the game states, plus a couple of other cool little options here and there, then they'd have bettered this system. And while you might not think they could do that for the price--again, that's a short-sighted view because everything about this system will only get cheaper to make in the future. What's to say that guys Analogue couldn't basically do this with the next iteration of the system? I mean, I guess getting 20+ of specifically the best games pre-installed would be the biggest challenge (maybe they could just get 20+ games that are available for cheap if they can't get like the Top 20, as happened on a couple of systems like this to date), but as long as there's a firmware update that would let people install emulated versions of these games at will at some point down the line, which there surely could and will be, then even that would be a totally fine option/solution. Point is, there's no reason to think Analogue or someone else couldn't do even better in the future--and I for one would be more than happy if they continue to improve and tweak what they have already achieved here, which is pretty dang great but not perfect. My SNES hooked up via S-Video to my 32" Vizio LCD looks great but I wouldn't mind one of these! By the way, the way this solution works in terms of basically perfectly running SNES games just like orignal SNES hardware, yet it's not original SNES hardware, goes directly in the face of every single person who was arguing with me when I said Nintendo could have done something similar for the SNES Mini--basically remaking a slightly smaller version of the original SNES now, with working cartridge slot and all, and maybe with some kind of cheaper and modern internal hardware. And, the point I made back then, just to remind those people, was I thought it would be the best solution to actually make a SNES Mini with hardware that allowed the games to run on it perfectly--even if that would only be the physical games that would run perfectly--as well as still include/play the pre-installed digital versions of the games also (which nigh-on-certainly will technically be able to run on the Analogue Super NT too at some point in the near future). And I did say I thought Nintendo could pull this off for the same end-consumer price as the current SNES Mini too. It might be more expensive for Analogue to do it like this compared to the price of the SNES Mini, but I have little doubt Nintendo could have pulled off such a feat and released the system for the same £80 the SNES Mini costs here in the UK (with the 21+ included digital games and two controllers too), especially given we're talking about a system that's selling in the multiple millions of units here--and it could have sold way more than the 4 million SNES Mini systems it has already sold in the space of a few months if it had avoided the supply issues--so Nintendo could greatly reduce costs due to mass production and bulk orders of components and the like. But, don't worry, I know plenty of people are still going to argue with me on this one and assert that I don't have a clue and I'm being unrealistic and whatever else. . . . Many of you guys keep arguing with me every singe time I make some suggestion about how I think Nintendo maybe could/should have gone about handling some thing to do with its games, hardware, firmware, services, business, whatever--and in some cases maybe even could still handle some thing in the future too--and basically every single time a solution comes out not that far into the future that backs up exactly what I was claiming. When are you guys, you know who you are, going to learn that it's not me who is being unrealistic or unfair on Nintendo, I'm not making crazy suggestions, but it's small-minded, short-term thinking that is limiting your imaginations for what can and usually will be the case at some point beyond your current model of the Universe as you see it? Right now, I'm even more convinced Nintendo could have released a SNES Mini that could run 100% perfect physical versions of all the original SNES games via a fully working cartridge slot (obviously the system would have to be a tiny bit bigger in this case, which is also what I said before too), while still including the 21+ digital games pre-installed, come with two controllers (with longer cords), have a simple button combo to easily return to the main menu, and all for the same £80 of the current SNES Mini in the UK. The only real differences are a different internal circuit board solution and a working cartridge slot, and I have no real doubt Nintendo could have found a way to work those things in at the same end-consumer price point as the current SNES Mini if it really wanted to--using some in-house developed hardware solution for running the original SNES games on a modern cut-down version of the SNES hardware--and, just like before, I still believe this would have been a better and near perfect all-round solution too, even as great as I think the current SNES Mini is. But like I said, I know you'll want to disagree and say it simply isn't possible, despite the ever growing evidence to the contrary. I mean, it's still not carved-in-stone that Nintendo could in fact do what I've suggested (particularly at no additional cost to the end consumer)--it's getting close though--so there's still plenty of argument to be had. Hmmm. In regards to no save states...that's likely because you're running straight off the cartridge, as you normally would with an original SNES? I doubt the other SNES clones of recent years support save states when running off cartridges - they likely only support save states when running downloaded/emulated games. I might be completely wrong though, can anyone confirm? It would be awesome if i could backup save files to the sd card. 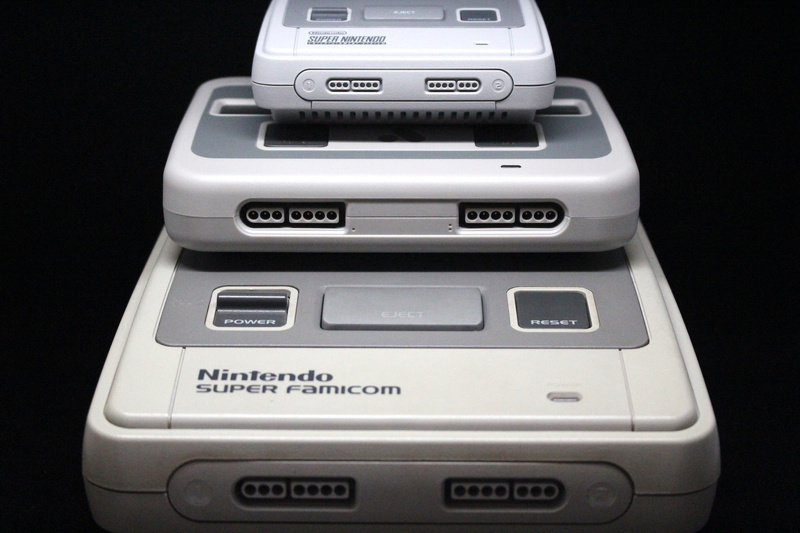 Anybody think that will be possible with the super nt? Does the SD card store in-game saves or are we going to have to replace the batteries? Replacing and soldering a new battery for each game is costly. @mikegamer It would be cool if you had an option to save your progress to the cart or sd card. Hopefully they can make this happen in a future update. @Shiryu You don't already own an 8bitdo controller and snes retro receiver? And you call yourself a Nintendo retro video gaming enthusiast! Buy the controller and receiver on Aliexpress mate, much cheaper direct from 8bitdo's storefront on there. @WaveBoy I recently had to replace my TV recently so I bought an LG 1080p with very low latency. The difference was amazing, especially on games like Ultra SFII. Too bad it’s not possible to save to SD cards. ...can I have my retro gamer street creds back now? @impurekind I don't know if I agreed or disagreed with you back then - it would certainly be possible for Nintendo do what you describe. However, the FPGA's used in both the Analogue NT and the Super NT are far from cheap - making it quite impractical that Nintendo. Additionally, Nintendo would still essentially need to reverse engineer their own chips to flash the FPGA to replicate them. @Ralizah ugh!! 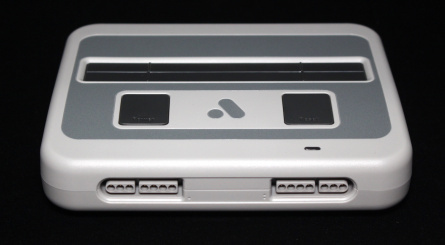 The 3DS had the worst SNES emulation. The input lag made almost any action game unplayable. @Pizzapasta What lag? The SNES VC games on New 3DS play just fine. It’s a pity that the transparent model that ships looks so different to the original mock ups. Are there really enough people this dedicated to retro gaming? There must be, otherwise they wouldn't waste time and money making this. I would still rather a really good official emulator on the Switch, and the ability to bring the games with me. I still have a SNES and old TV in the basement if I want that old school experience. For the time being, the SNES Classic works but this would be nice. I would love to see what people could do within the system limitations while using modern design principles. A De-make of Shovel Knight, for example, would be amazing to have on the console. Unfortunately it probably will never happen. It's pretty clear you don't understand what an FGPA is or the benefit of it. It's not even remotely close to your idea that they remake the exact chip in the Snes (because accoding to you that was the only way to ensure it reacts the same) shrink it, add 21 games (on a cartridge none-the-less), 2 original controllers, and an hdmi scaler and sell for no more than $70 in 2017. An FGPA solution shows up in 2018 for $230 with 2 games and no controllers and it proves you are right? The joke was on your unrealistic cost, not that it couldn't be done. Now please stop taking up real estate unless you have something to add about the FGPA Snes discussed in the article. @GravyThief Absolutely agree. I don't think the Nintendo life guys have much experience with the high end CRT scene. I remember they said the Gamecube's HDMI solution and I think the N64's UltraHDMI were better than CRTs as well - I have both and neither look as good as my BVM or NEC XM29+ monitors with original hardware (RGB modded N64 + Gamecube via component). No scaling solution I've seen ever has. I think they just get excited about the shiny new hardware & like to say it puts everything else to shame without knowing what a truly high end CRT is. A while ago I mentioned it to Damo, one of the reviewers here, in respect his GCvideo review and he'd never heard of a BVM. Don't get me wrong, this is a fantastic piece of kit - but give me a 1-chip SNES & a decent CRT any day. Pretty hard to get a good performing reasonable sized BVM at a reasonable price. It's not really a mainstream solution as the super nt could potentially be. @Shiryu hmmmm... Not unless you modded it with a sanwa stick and buttons... Lol. I want one. PS I always enjoy your articles, thanks mate. If you're just going to play using those ugly scanlines, then you may as well just play those games on a real SNES on a real CRT TV. Mine should be arriving soon. Question for other fans, how much did Analogue charge you for shipping within the US? My system (no controller) was a whopping $39.70 to ship. I have yet to see if it will arrive swaddled in gold foil. @cleveland124 Agreed. I was just saying that they're factually incorrect. Actually although BVMs are fairly rare, the PVMs are much more common and quite big on the retro gaming scene - & I would take a good PVM over any scaling solution. In fact, for the CRT look, I would still personally prefer a decent, low-use consumer Trinitron over CRT emulation, although that's a matter of taste. Some people like the super-pixelated line doubled look which i totally respect, but looks nothing like the games did back in the day. 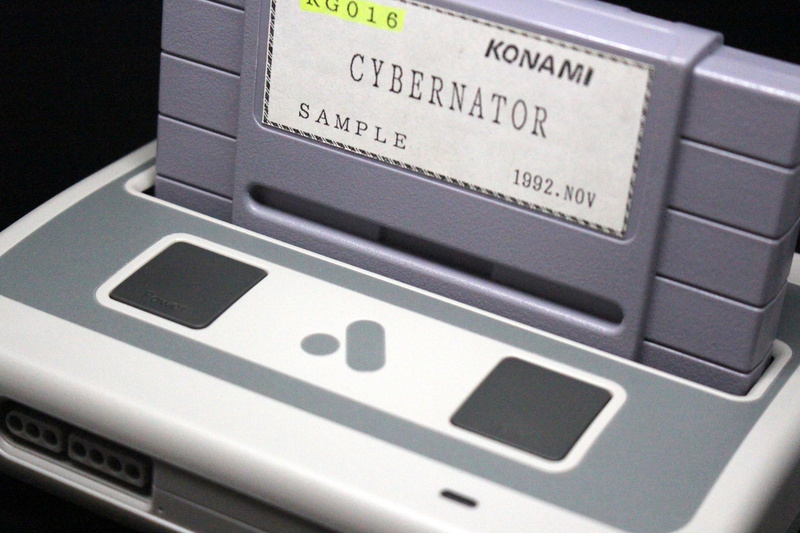 @arekdougy Retron 5 and Retro Freak both support save states when using carts. @Mips I'd never heard of a BVM? I'd be all over this if it implemented save states. What's the chances of that being patched in? @Damo For sure - although admittedly that was quite a while ago now. You also asked me if there was a modern version & I pointed you towards the £30,000 X-300 flagship Sony OLED broadcast monitor. @Mips You're saying a didn't know that BROADCAST video monitors existed? Monitors that you see inside practically every TV station? I think you might be remembering this wrong. PVMs and BVMs are great and all, but they're impractical for pretty much everyone who doesn't have their own gaming room. I'm well aware of what games look like on a good CRT (I'm 40 next year) and for me, solutions like the Super Nt and OSSC are much better for me; the quality is stunning, there are loads of options you don't get on a CRT and they don't take up loads of space. @Damo I remember the conversation very well - I wasn't suggesting in the slightest that you didn't know about broadcast monitors - just the BVM CRTs people use on the retro scene. As I say, you also asked the modern equivalent of these BVMs and I let you know that the X300 is the current flagship, equivalent to say the 20E1E back in the day. I agree that CRTs are an impractical solution for a lot of people and I personally think the Super NT is a great piece of kit - but that's not really relevant to my point. I was just pointing out that Nintendo life tends to categorically state that these solutions are better than CRTs which isn't necessarily true. Also just to say I'm also one of the oldies (mid 40's) and you can't really compare your experiences of CRTs back in the day to BVM/PVMs as they were of a much higher quality than the consumer CRTs everybody had back then. I also totally agree that the Super NT is a fantastic modern solution that will suit a lot more people. Again, I was solely pointing out that NL tend to say these solutions are better than CRTs which isn't necessarily true & the retro gaming scene is now large enough that BVMs and other pro CRTs are quite popular. @Mips I would even say a bog standard CRT beats any HD solution. I have a little 14" no brand consumer CRT in the attic. It accepts RGB and looks beautiful. I'm not a fan at all of LCD TVs. Despite all their good stuff like 1080p/4K, large screens and thin profiles, the picture quality is a step back from CRTs. Blacks look grey, colours look washed out, motion looks rubbish, light bleeds all over the place, you always have input lag. Admittedly I haven't seen a top end LCD, but CRTs are just inherently better at that stuff, and especially for retro gaming. It's a shame it's a technology that didn't survive in some slimmer, lighter guise, as the only reason it fell to the wayside was because of the size and weight of LCD TVs. LCD technology is just a bit naff. OLED is the technology I'm waiting to get cheaper before I jump on the 4K/HDR bandwagon. Once I have one of those, I'll probably invest in a framemeister. I bet retro games would look good on those. Still not CRT good, because they just weren't designed for them, but better than LCD. Thanks for linking to that Byuu article by the way, it was a really interesting read. I'm not into emulation at all (software or hardware), but I've always had a lot of respect for Byuu and his Higan emulator. He is actually trying to preserve the SNES through software emulation, unlike all the other emulators that pretend they're in it for the preservation. Also, I always thought FGPA/Hardware emulation was always inherently better than software emulation. From that article it sounds like it isn't, it's just better than most software emulators out there because they don't care about replicating the hardware like Higan does. @Mips Thanks for clearing that up. While I've never personally owned a BVM or PVM, I used a Commodore monitor with all of my RGB consoles in the '90s and the quality was stunning. In fact I even dug that monitor out of my parent's garage not so long ago and got a load of special cables made in order to get the best possible picture. I've also been through several Trinitrons and have played on PVMs at retro events. They are lovely, lovely pieces of kit but the price, size and screen size make them totally impractical for most people. Obviously CRTs and HD options both have plus and negative points, but what I'm trying to say is that I've sampled both and personally prefer the flexibility modern HD options give me. I can use the Super Nt and OSSC on any flatscreen TV. @bolt05 Thanks, it's always nice to be appreciated. Did anyone from EU manage to buy it? So, just how accurate is it? I propose a test with at least two cases. Speedy Gonzales and Air Strike Patrol. Why? These two games cannot run fully on an emulator except the most accurate. Speedy Gonzales incorporates a rare hardware edge case in Level 6-1, where if not properly handled, causes a deadlock. Air Strike Patrol uses a mid-scanline raster effect to handle the aircraft's shadow, a technique that's extremely resource intensive on emulators. @cleveland124 Nope, I never once said they'd HAVE to make the exact same chip (without any possible differences or alternative options whatsoever). In fact, I actually suggested a couple of possible options (from literally re-releasing the exact same original SNES but just in 2018 to using the same internal components and just putting it on a smaller board and even using some entirely new components created today that can be made to work exactly like the original). And my entire point was only to make it work exactly like the original in terms of running the games perfectly, even if they had to make a smaller and newer version of that internal hardware somehow, which I've always had zero issue with and is exactly what this FGPA is for all intents and purposes--it is literally the exact kind of thing I was alluding too--at least as I was always thinking about it and trying to describe it in the first place. The point was a solution that allowed original SNES games to run perfectly in modern times without the current flawed emulation artifacts and the like. And if it's simply not possible to do it with the ROMs then at least it's absolutely possible to do it with the physical carts and modern FGPA solutions. I did also say that I thought they could literally remake the exact SNES now (possibly even shrink it down too) and release for the same end-consumer price and likely even cheaper than the SNES Mini, even though that would mean reprinting old board technology or whatever, and I still 100% stand by that too. But that isn't one and same with the other idea I was also proposing as a potential solution. And, again, nothing says Nintendo couldn't go down basically the equivalent of the FGPA solution, just with its own in-house mass-produced and cheaper version, and release it now for the same end-consumer price as the current SNES Mini (with 21+ installed digital games, two controllers and all). There is literally nothing to support any assertion that Nintendo couldn't make an in-house "FGPA" for SNES at around the same price as whatever third party board it's using right now, or possibly even cheaper, if it really wanted to; there's just pure speculation one way or another. But given that Analogue has done something most people like you in here were saying was not possible without using the original hardware (as I recall), which people like you also said would be too expensive to reproduce today also as no one is currently making circuits and chips like that (or whatever it was people like you were saying to argue my point), I think we can see that the real issue here is limited short-term thinking for the most part--at least that's what I'm seeing as the real problem above everything else. 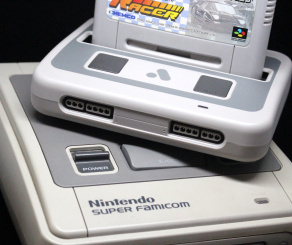 So, my original assertion still stands, that I think Nintendo could indeed release a version of the SNES Mini that would in fact play [at least*] the [cartridge] games perfectly (basically using the equivalent of an FGPA in one form of another, likely even developed in-house, and with a working cartridge slot like I also suggested), and still include the 21+ digital games and two controllers, for the same end-consumer price as the current SNES Mini--and it would be frkin' amazing if it did do that. I know, however, that you'll still want to argue otherwise--and until basically what I'm saying happens, which may never happen, then you're argument is still totally valid too, as much as I think it's just small-minded and limited thinking. *There's now even more reason for me to also assert that a combination of this FGPA-like console solution with additionally some inspired way of putting the digital games onto the system as though they were actually burned onto an original physical SNES [compilation] cartridge that's basically just permanently "plugged into" the console, so the machine basically wouldn't be able to tell the difference between the digital versions and the original physical carts, could also allow the in-built digital games to run perfectly too. Oh my God... I've been going back and forth on this all day and night since yesterday. 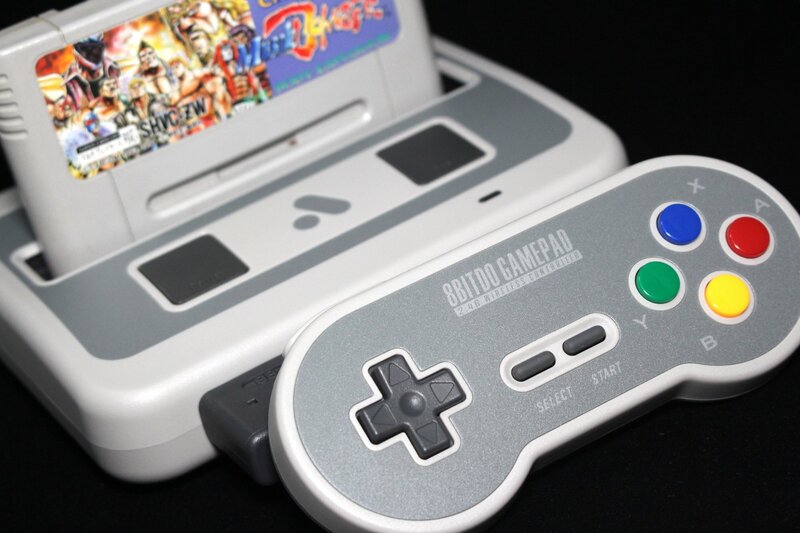 I want this so bad and this is perfect for me because I have a large collection of SNES cartridge games (including most of the rares) along with 2 8bitdo SN/SF Pro controllers and the SNES wireless receiver already. My og SNES is still running alright, but having to deal with component cables are a nightmare nowadays. The price is a bit high for an impulse buy at $190 but the $40 shipping to the US is killer on top of that. I really hope that this goes on "sale" for a little bit of discount at some point, but I don't think that will happen. Does anyone have any idea or history on whether Analogue's products ever go on sale a little bit? I saw the entry for a promo code on the checkout menu so I was given a faint bit of hope. I've got some time to still mull it over as it looks like all orders after Feb 5 aren't shipping until March 1st anyway. I agree. I think well done upscaled games look better on modern displays. Crts give a more "authentic" experience, but I've never been a fan of scanlines. You just don't have a business mind which is your problem. I mentioned FGPA in the other discussion with you before. "It would be very costly to reproduce them. Even more costly to pay the r&d to shrink them. It's very good for what it is. Which is an $80 emulator box. FGPA solutions which emulate hardware like the AVS and analogue nt mini will be available soon and will provide excellent hardware emulation. But they'll cost more than $80." That was my rebuttal to you which seems very accurate today. Then you responded with this. "Let's face it, there's pretty much zero doubt Nintendo could remake and re-release the exact original SNES for less than $70/£70 nowadays, so I see no truly good reason it couldn't just basically do that but in a smaller shell "
So no, I don't see how you are right today. I mentioned FGPA and now you are trying to piggyback that it is a perfect solution to your idea which is fine. But the $70 is completely unrealistic today as it was 6 months ago. Same conversation, different day. @cleveland124 You've selected a single old post to reference in your response (or maybe a couple), and one of the points you brought up even says exactly what I mentioned above about me stating that I believed Nintendo could "remake and re-release the exact original SNES for less than $70/£70 nowadays, so I see no truly good reason it couldn't just basically do that but in a smaller shell", as one potential option. That, however, doesn't cover my various comments in articles where I was saying Nintendo could, as another option, basically do what we both now understand to be the FGPA thing (I didn't really know what this was specifically before now but that's exactly the kind of thing I was going on about), and the fact you knew about that back then just makes it even more absurd to be that you were arguing that my various ideas were unrealistic and basically impossible and whatever else. You're only real and still-standing argument is that you personally don't think Nintendo could do it for the same end-consumer price as the current SNES Mini; and on that I disagree now just as fervently as I did then. I still see no solid argument that says Nintendo could not have released a SNES Mini with a slightly different hardware solution that allowed the games to run perfectly, or even re-released the original SNES hardware again, for the same end-consumer price as the SNES Mini; but I do see more and more evidence to support my overall idea being even more plausible and forward-thinking every day (and that was me coming up with it without me even knowing what an FGPA was when I suggested it). 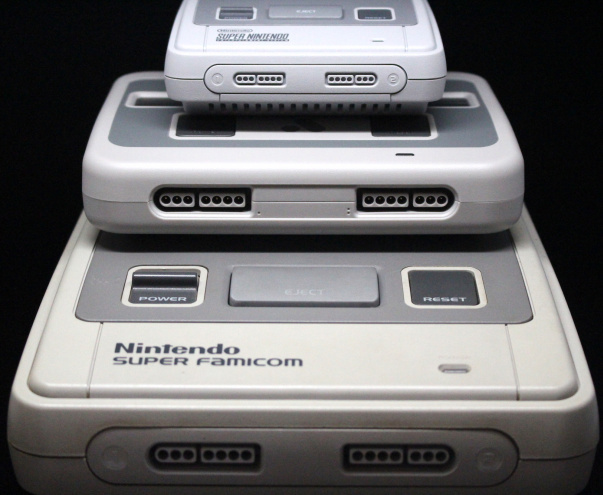 How many price drops will Analogue have to make on new iterations of this hardware in the near future before you slowly begin to realise the only real barrier to it being cheaper is them not being able to mass product and mass bulk order the parts at anywhere near the level Nintendo could in order to reduce costs across the board to bring it in line with the current SNES Mini's end consumer price? I referenced a single post because I bowed out of your crazy last time quicker. If you didn't understand what I meant last time you should have done your research then instead of brushing aside my comments. Then you could have used it to claim victory last time lol. If your argument is the price is reasonable you should at least have an idea of the manufacturing costs to make it happen instead of just stating they can obviously do it. I also think victory for you is when a $70 perfect SNES releases (whether that be FGPA or not) which it hasn't and it won't. If Nintendo could have released something better than the Nes Classic for cheaper then they would have. The fact that they haven't means they either can't or don't care to. I mean technically they could give away 10 million Switch's tomorrow because they can afford to, but they won't. They aren't a charity. They bring products to the market to make a profit. @cleveland124 The research wasn't necessary because you were using random examples to say what could not be done within the price point, without knowing the costs involved on Nintendo's end. Even with knowledge of the FGPA I would still not agree that it could not be done because I knew you were simply speculating on costs no matter what, and if I did do my research then, like you say, I would have had an even stronger argument back then and argued more fervently to defend my position--so you're lucky I didn't bother. "If Nintendo could have released something better than the Nes Classic for cheaper then they would have." — correlation does not imply causation. We've reached a point where there is literally a consumer console that is basically what I was saying all along, and it's very clear the same thing could have been released back then if only someone had bothered to think of it and do it. The only real difference between what exists and what I suggested is it's not made by Nintendo directly. All that's left now is to see some evidence one way or another that Nintendo could or could not create something similar and release it for the same end-consumer prices as the current SNES Mini--and I still assert that all the information provided on either side does nothing to convince me it couldn't do basically exactly what I suggested and at the price I suggested back then, even more so than ever. @impurekind you're completely delusional, defending your opinion with "you're lucky I didn't do my research or I'd win" is just trolling, how about you do some actual research instead of just making up your own world of business. Nintendo aren't going to get costs of an equivalent machine to this any time in the near future. The FPGA chip used in the Super NT is $53 on its own direct from Intel, then they'd need to design the board, pay for all the I/O components, contract someone to or have a team design, write and test the FPGA code etc, these are all costs Analog have put into the manufacture of this. If Nintendo were to build a new system from scratch they'd have to source now obsolete parts or redesign replacements. An expensive exercises for what amounts to a system that the wider audience won't see the value in vs an emulator in a box such as the SNES Classic. @sandprism You are completely missing the point. If you think me not looking into the FGPA changes anything and of any consequence. And, again, just because a chip costs whatever from Intel or whomever else, it has nothing to do with how much it may or may not cost Nintendo to design and mass produce something similar for a console selling multiple tens of millions of units [Edit: I meant to say multiple millions] or how much it could sell it to the end-consumer for. You don't think Nintendo could do it and sell it at a similar end-consumer price as the SNES Mini, apparently, and I do--and nothing you're saying changes that. Dude the only one missing all the points is you, because you just make stuff up. The base cost of a chip from a manufacturer has a lot to do with how much it may or may not cost Nintendo, there's only so much margin in a chip, Intel's not going to just give them away. Tens of millions of Units? You expect it to sell as many as the SNES originally did? @sandprism And you have literally zero clue about how much it costs Intel to make those chips at a manufacturing level or how much it would cost Nintendo to do something similar at a manufacturing level, so you have no solid basis for stating Nintendo matter-of-factly couldn't produce and sell a system with a chip like this in it at the same end-consumer price as the current SNES Mini, which is my point. You're saying it couldn't be done (and not just in your opinion but as if it's some actual proven objective fact), and I'm saying I believe it could (and I've still not seen any actual facts and figures that unequivocally show/prove otherwise). Oops! I meant multiple millions. My bad on that one. Yeah sorry I don't have access to Intel confidential information, clearly they'll give a magic 50% discount to Nintendo and Nintendo can just magically write an FPGA core for nothing, or spin up a new manufacturing process for free. My job I see the costs involved for contracting companies to make defence hardware, so I actually do have some clue. Unlike you has just made up a bunch of stuff and who's only recourse is unless someone shows an invoice for the confidential cost price information for individual components involved it could magically happen. How can there be zero lag input when you're still playing on an HD TV? This one doesn't include a way to play on a CRT, so no thank you. @BulbasaurusRex I think what they mean is if you alternatively had a SNES with an upscaler like a Framemeister then there is additional input lag from the upscaler itself. Mine came yesterday, the build quality is fantastic. The Super NT itself does not add any lag like most other solutions XRGB mini or SNES Classic. Paired with a gaming monitor (9 ms lag) or a low lag tv (19 ms) this results in a near CRT experience and is very pleasant to play. They have announced they are releasing a digital to analog converter for the Super NT. It will be lag free and allow the Super NT to work on a CRT through composite, s-video, or rgb. It is expected to release later this year and cost about $80. Through use of this converter, you'll be able to use super scope on a crt. @cleveland124 You can avoid scanlines by using a 21" consumer CRT for NTSC and a 25" for PAL. @cleveland124 A low lag TV or monitor is still not the same as the absolutely zero lag you get from a CRT set. This really matters when playing high reflex and timing based genres like fighting games, rhythm games, SHMUPs, and tough platformers. It's nice to see that they're working on a CRT solution, but adding an extra $80 to the price (especially for a feature that should've been built in as standard) is not acceptable. Add in the extra cost for a couple of controllers, and by that point you might as well spend a similar amount of money on one of the high end products. There are negatives to CRTs. Namely the size, weight, ability to get one that is in good condition and doesn't have consistency issues. Most people that are into retro gaming have snes controllers and honestly if your goal is to play on a crt you should be looking at an original snes, not this. Scalers to play on HDTVs (XRGB mini, OSSC) cost more than this and that's the solution this is replacing. So this is a great price for what it gives you. I honestly don't believe a human can tell less than a frame lag and you can get this with this device. I've beaten Mike Tyson's punchout on a 23 ms projector with the AVS and I can't imagine a game that requires faster reflexes/timing than that. Street fighter tournaments that have games requiring 1 frame counters have long played on gaming monitors that have 10 ms lag. Sometimes I feel like when people complain about such small lag they are just complaining to complain. So please, enjoy your CRT and original SNES. I enjoy those too. But now I also enjoy this on my newer tvs also. @cleveland124 Yes, but the negatives are worth it. It's not that hard to find a decent CRT set. Also, most people don't have access to a gaming monitor, and many are stuck with an HD TV well above that minimum 19ms. Besides, I was originally pointing out how the article was technically inaccurate with its claim of zero input lag. Well, that's my point. Get either an original SNES or a cheaper clone system that can connect to a CRT instead of something like this. It's cheaper, you get no input lag, and HD doesn't really matter for retro games anyway. The negatives are worth it to you. The super nt is worth it to me. You are wrong though, the Super NT adds no lag. If your setup has lag then it can't remove the lag in the setup. If your opinion is CRTs are better that's fine, but they have their faults. Just an FYI. Both CRTs and LCDs refresh screen top to bottom. So when a monitor like say this cheap one: https://www.amazon.com/BenQ-ZOWIE-inch-Gaming-Monitor/dp/B01H5KKRLO/ref=sr_1_1?ie=UTF8&qid=1518576892&sr=8-1&keywords=RL2455HM has a rtings rating of 10 ms. You have to realize that they are measuring the lag in the middle of the screen. At 60hz a CRT measured lag in the middle would be 8.3 ms. Gaming monitors are essentially at CRT type lag levels today. @cleveland124 While it's kind of ambiguous, the article implies that the entire setup gives you zero lag input, not zero added lag input, which is simply not true. Like I said, hardly anybody actually has a gaming monitor, and most HD TVs are not close to CRT level. I didn't even know there was such a product. Also, $169 is NOT cheap just for something on which to play video games. You could get a decent CRT set for less than half that price. "Because FPGA is all done entirely on a hardware level, you get unparalleled accuracy, total compatibility and zero-lag input." It's discussing the FPGA having zero-lag input which is true. I think common sense dictates that if you are using a laggy tv you'll still have lag so I don't think they need to specifically state that. Samsung is the biggest TV manufacturer and nearly their entire lineup has sub 20 ms lag. Other manufacturers have lower lag. HDTV manufacturers have caught up with lag being bad so it's a point of emphasis now. You must not do much PC gaming because you'd know about gaming monitors. It's simply a pain to keep a CRT setup and my preference is the visuals on an hdtv. CRT will simply never be a solution for peoples main TVs or for people with limited space. If you think it's superior and worth still keeping space to keep one setup great. Got Mine Yesterday, loving it!! !